Cold chilly breezy evenings. Misty days and long nights. A hot cuppa cradled between your palms. And the aching desire to eat. 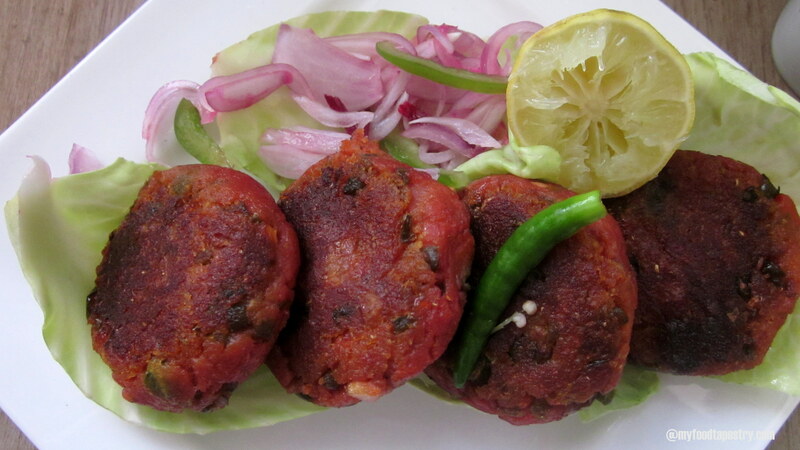 To crave something savory, spicy and mostly deep-fried! Yes, winters does this to you. Sigh. This so dissolves all the cravings and transfers me back to hard ground. Matching up to his athletic skills or health agendas is not on my to do list – EVER. But we do call it a truce most of the times, we somehow make it work. Hence one wintery cold beautiful evening, when I fancied some vegetable cutlets, he hid the oil. There! that’s how it works in our house. I crave. He improvises. 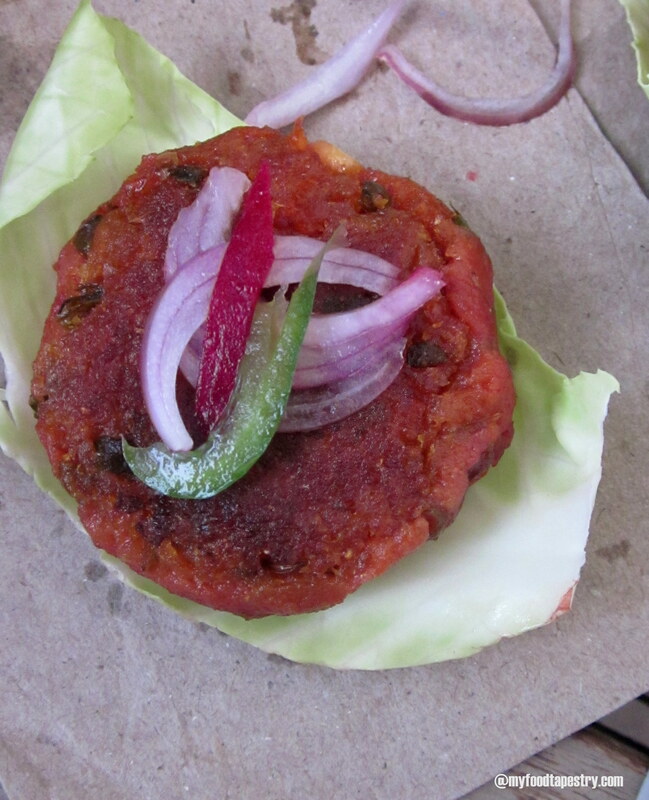 Here are some delicious vegetable cutlets or patties made in minimal oil and crunched with some slices of bread and semolina. 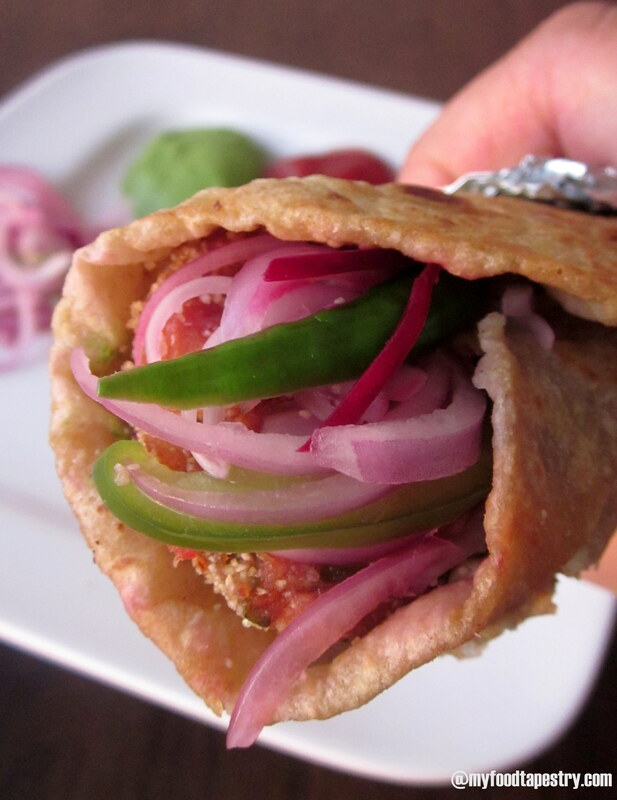 Enclose these yummy rounds between tortillas, flavor it with green coriander chutney and what you will have is the famous wrap of Mumbai, called “frankie” in your hands. 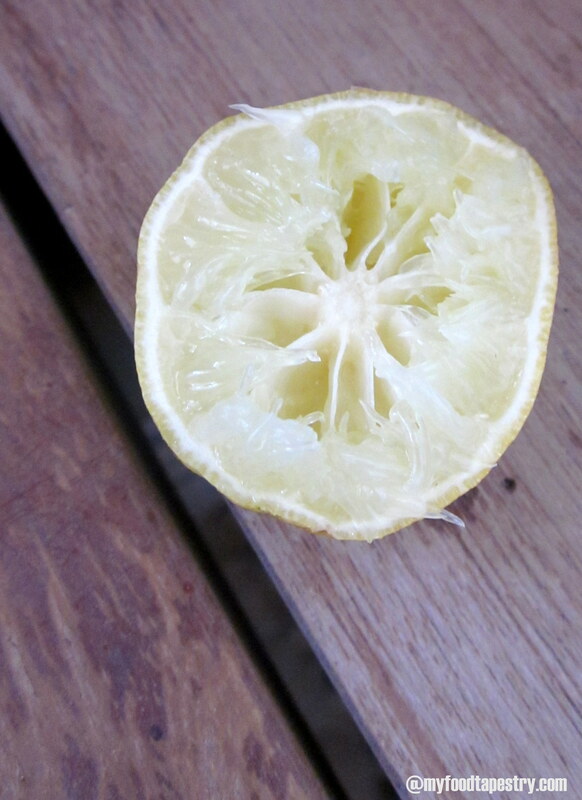 They both love lime and I for one cannot tolerate the tartness, my teeth turn sour at the mere mention of it. Copious amounts drizzled over the cutlets and a wee bit of rock salt sprinkled, and how they both licked their plates clean! I stuck to what they call the thakela lame version of the dinner. Dry spices like – 1/2 tsp turmeric powder, 1 tsp coriander powder, 1-2 tsp amchur powder, 1/2 tsp garam masala, 2 tsp red chili powder – all spices can vary according to your tastes. oil for pan frying and 1 tsp oil for sautéing. Boil the vegetables in minimal water, along with little salt. I used 4 tbsp of water for 2 cups of veggies in a pressure cooker. This way you do not lose the essential vitamins of the greens to water. Once done, mash the veggies with a potato masher to a coarse consistency. keep aside. In a wok, heat oil, saute onions, ginger garlic paste and green chilies till the onions turn pink. Now throw in the capsicum and grated beet. Saute for another 3-4 minutes. Add the mashed boiled vegetables. Throw in all spices/masalas. Saute on high for about 4-5 minutes, stirring and mixing in between. The water if any from the veggies should be dry leaving the mixture to a coarse water free dough. Now add coriander leaves. Mix well. Leave it to cool. Once the mix has cooled, try shaping them into flat patties. If you have difficulty then add crumbled bread to give the dough some firmness. Once all the rounds are made, heat a flat griddle, sprinkle oil. In a bowl take 2 tbsp of semolina, coat each cutlet with semolina and roast on the griddle till crisp and golden. Note: I did not use semolina as I used very very little water to boil my veggies, hence the mixture was firm enough to shape into cutlets and roast. Note: You could alternatively, dip them into a mix of flour-water and deep fry/roast. Note: Those who eat eggs, can dip the rounds into beaten eggs before frying/roasting. 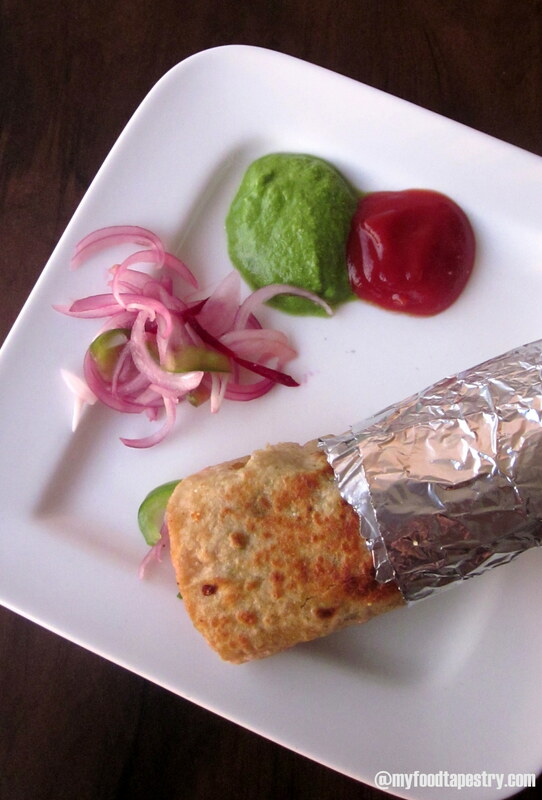 This is a popular cheap version of the high-end wraps and rolls, usually available on the streets of Mumbai. Hawkers sell various versions of this roll, usually/mostly, wrapped in all-purpose flour/maida tortillas. 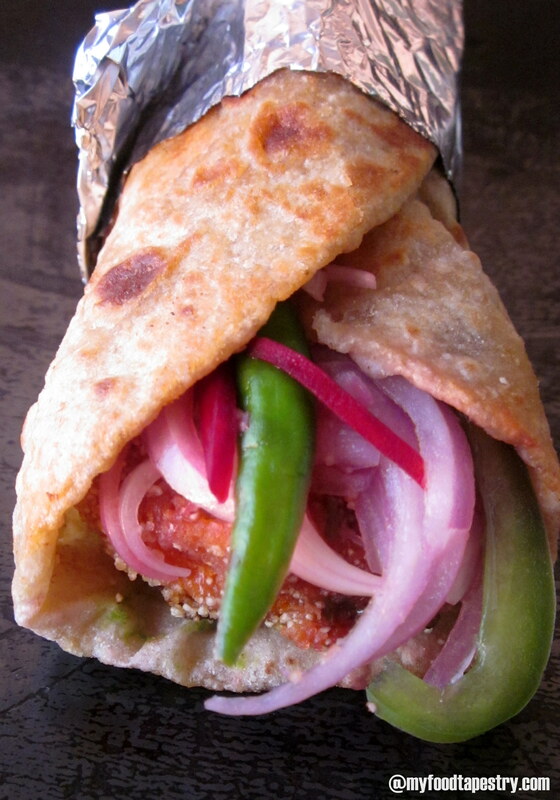 Take a tortilla or chappathi or any flat bread. 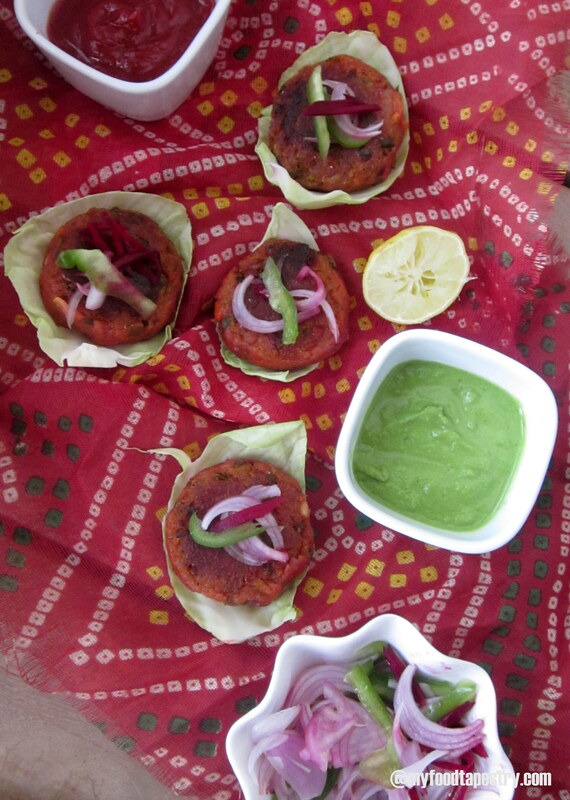 Smear some green chutney, place 2-3 cutlets in the middle of the tortilla. Top with some julienne onions-peppers and cabbage. I also used some minced green chilies. Sprinkle lime juice and some chaat masala. If you like, some grated cheese for the final touch is also great. Roll it up tightly, and dry saute on a flat griddle or use little oil to roast till crisp. 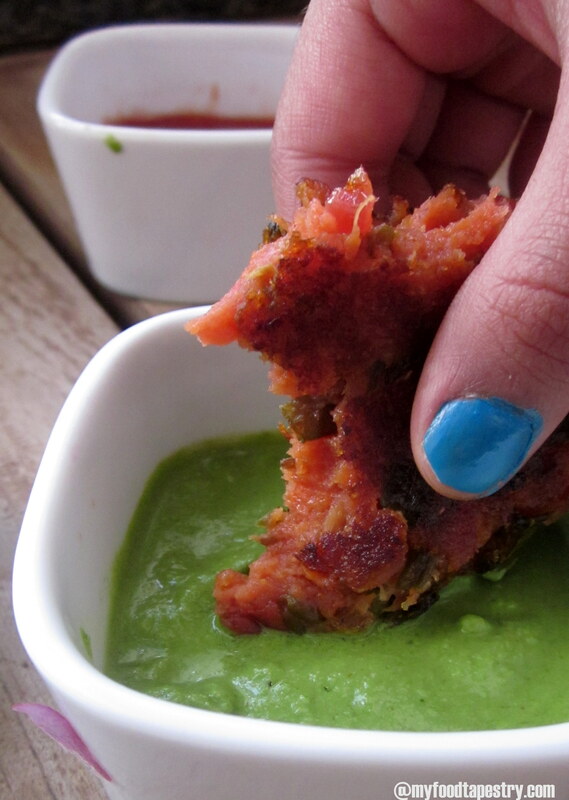 Serve with extra green chutney, ketch up and some salad on the side.